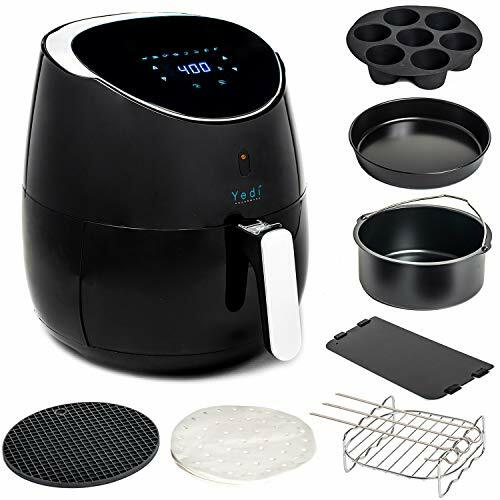 TOTAL PACKAGE XL AIR FRYER: The Yedi Houseware 5.8 Quart XL Air Fryer comes with everything you need and can feed the entire family! 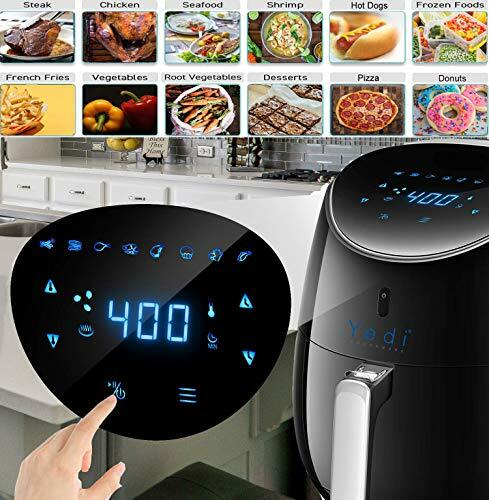 On the digital touch screen you can set your desired cooking time and temperature when making food. 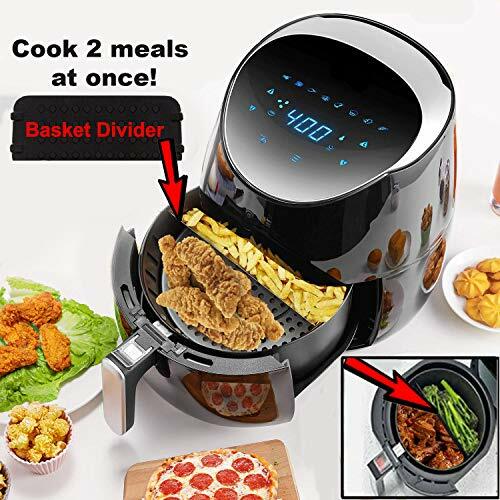 Or select from the built-in smart programs: fries, chops, shrimp, baked goods, chicken, steak and fish. 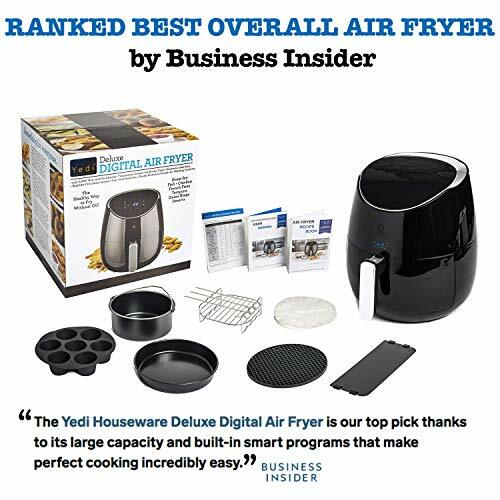 EAT HEALTHY | USE 85% LESS FAT: The Yedi Houseware 5.8 Quart Large Air fryer is the healthiest alternative to deep frying as it only requires a tablespoon of oil or less! This means, on average, you will consume 80% less fat while still enjoying all your favorite fried, grilled, baked and roasted foods! 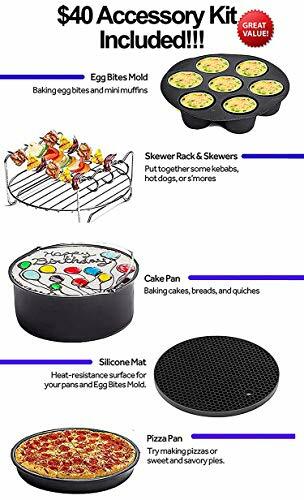 Also, the cooking basket is FDA-certified and PFOA free! 100% SATISFACTION GUARANTEED: Within 2-years of your purchase on Amazon we will refund your money and or replace your purchase if you have any issues with it. 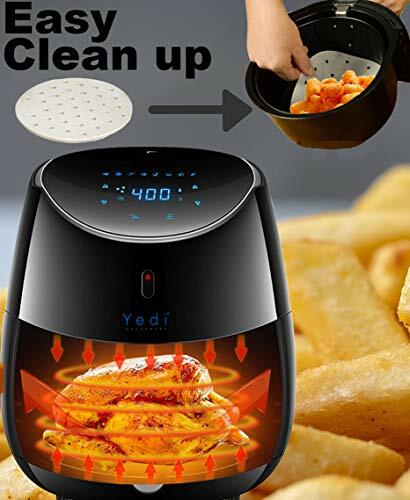 Buy the Yedi Houseware Air Fryer with confidence and effortlessly fry, grill, bake and roast delicious food for you and the entire family!